1 2016-10-24T08:11:10+00:00 Massacre of the Conestogas 4 Events in Indian history: beginning with an account of the origin of the American Indians, and early settlements in North America, and embracing concise biographies of the principal chiefs and head-sachems of the different Indian tribes, with narratives and captivities ... also an appendix containing the statistics of the population of the U. States, and an Indian vocabulary. 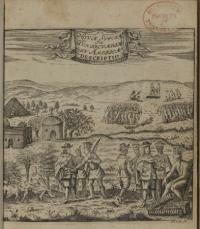 Illustrated with eight fine engravings. plain 2019-03-04T14:01:28+00:00 Lancaster : G. Hills, 1841. Wimer, James. LCP Am 1841 Eve 15217.O. Digital image from the Pennsylvania Historical and Museum Commission. 633 p. : 8 folded plates (incl. ill.). 23 cm. (8vo). Citation References: Sabin, 23214. In Massacre of the Conestogas: On the Trail of the Paxton Boys in Lancaster County, Jack Brubaker explains that Wimer's lithographs depicts the Paxton boys in formal nineteenth-century attire, including top hats. Brubaker writes that Wimer drew upon the works of Robert Proud, Benjamin Franklin, John Heckewelder, and William Henry. 1 2018-07-17T00:38:32+00:00 Paxton Presbyterian Church 1 (path) gallery 2018-07-17T00:38:32+00:00 Unknown Albertype Co. Presbyterian Historical Society, Philadelphia, PA. RG 425, Series I. Paxton Presbyterian Church, Paxtang, Harrisburg, Pa. Congregation formed around 1732. This building erected 1740 is the oldest Presbyterian church in continuous use in Pennsylvania. 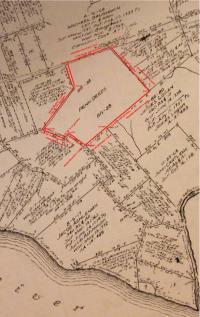 An historic spot closely identified with early Colonial history and the American Revolution. Chapel erected in 1905, enlarged 1923. Marker shows location of early log church. Postcard produced by the Albertype Company, which operated between 1890 and 1952. 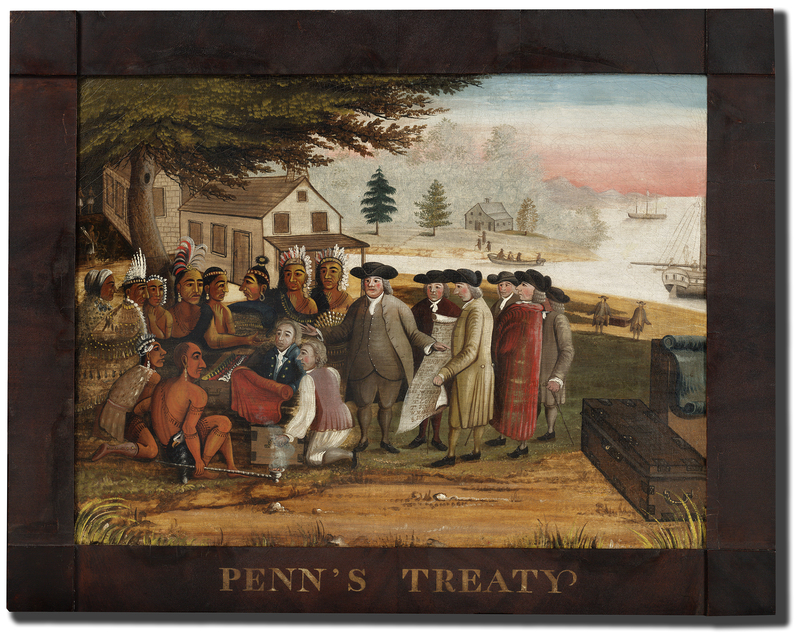 1 2016-09-01T10:53:55+00:00 Penn's Treaty with the Indians 5 Penn's Treaty with the Indians plain 2016-09-01T17:31:21+00:00 Hicks, Edward, 1780-1849. Philadelphia Museum of Art, Accession number 2007-65-7. Oil on canvas. 17 1/2 x 23 1/2 inches (44.5 x 59.7 cm). Framed: 22 1/4 x 28 1/4 inches (56.5 x 71.8 cm). 1 Philadelphia Museum of Art, 125th Anniversary Acquisition. 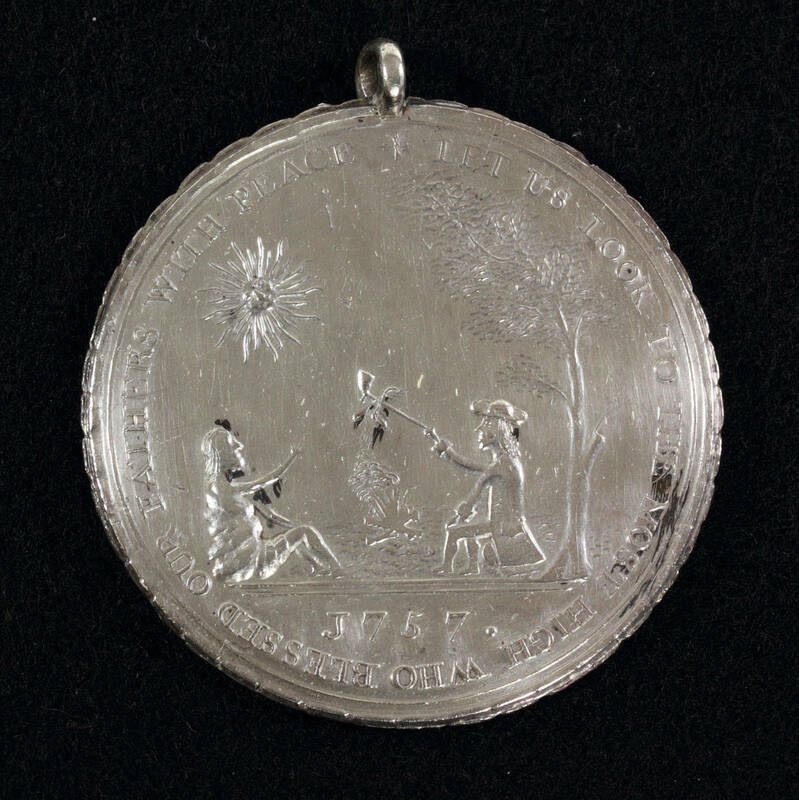 Gift of the McNeil Americana Collection, 2007. Accession number 2007-65-7. 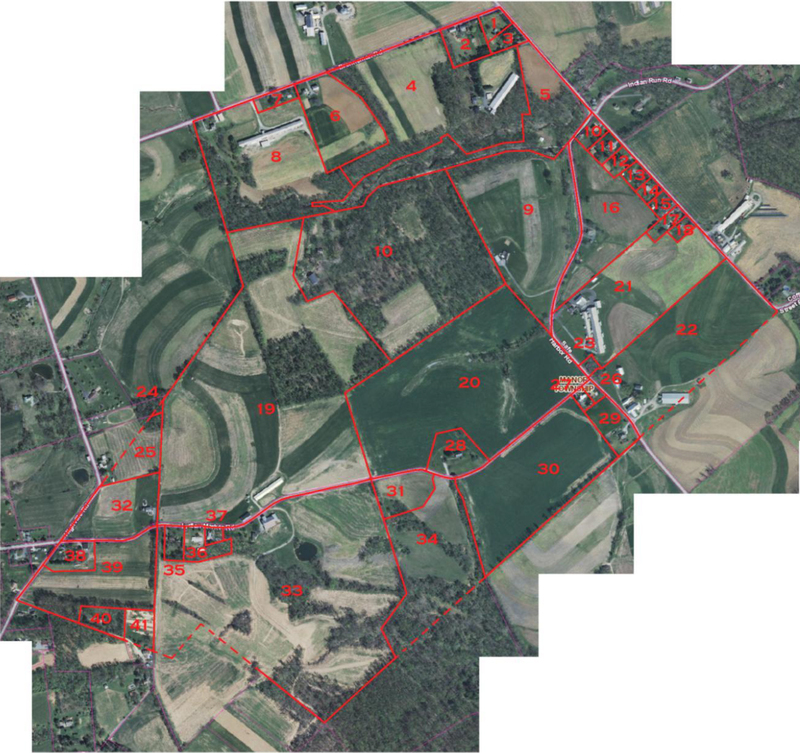 1 2018-11-04T11:48:42+00:00 1764 Troop Disposition 1 Disposition of the Pennsylvania Troops in the Western District for the Winter Season, 1764. plain 2018-11-04T11:48:46+00:00 Accessible at the USGenWeb Archives: http://www.usgwarchives.net/pa/1pa/1picts/frontierforts/ff41.html Available in Clarence M. Busch's "Report of the Commission to Locate the Sites of the Frontier Forts of Pennsylvania," Vol. I. (State Printer of Pennsylvania, 1896). 1 2018-11-04T11:21:09+00:00 One Year Later: The Black Boys of 1765 12 Jay Donis image_header 2018-11-06T17:38:44+00:00 A little over a year after the Paxton massacre, Pennsylvania frontiersmen united to assert themselves over a perceived injustice. 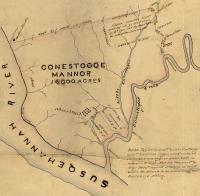 Whereas the Paxton Boys believed Conestoga Indians assisted Indian raiders during Pontiac’s War, Cumberland County frontiersmen suspected white businessmen of aiding Indian enemies. West of the Susquehanna River in Cumberland County, at Sideling Hill, eleven men lay in wait for a pack train eighty-one horses long, laden with goods, and destined for Fort Pitt. A few days prior, Cumberland County residents pleaded with the traders to halt, wondering why fellow Pennsylvanians would send material west that would help Native Americans to continue their war effort. Robert Callendar, an Indian trader with the convoy, and his companions “made light of” the request and continued their journey (Smith, Account, 110). According to the Philadelphia-based trading company of Baynton, Wharton, and Morgan, the pack train travelled legally under a military pass. In theory, the goods would help end Pontiac’s War by facilitating Britain’s diplomatic efforts. However, frontiersmen saw the cargo as supplying their enemies, representing “a kind of murder, and would be illegally trading at the expense of the blood and treasure of the frontiers” (Smith, Account, 110). 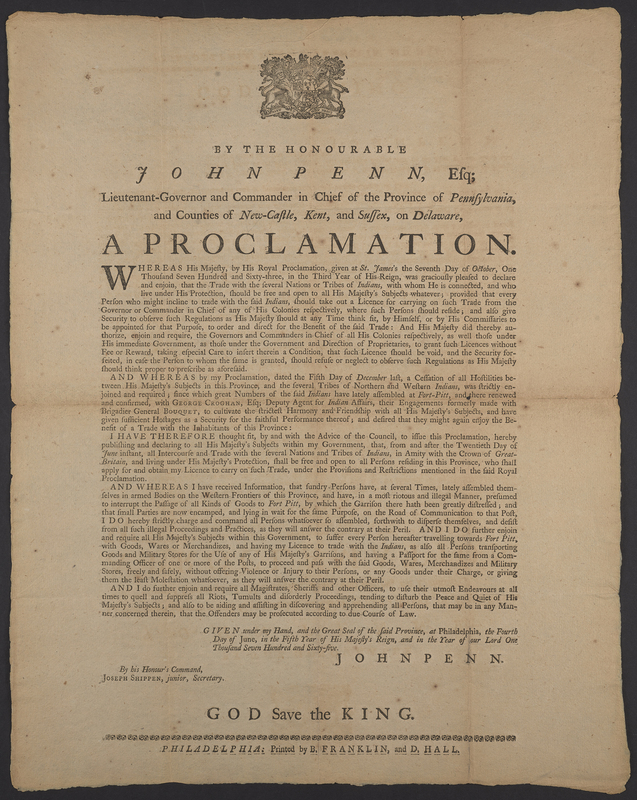 King George III’s Proclamation of 1763 gave colonial governors the power to reopen the trade, but, by early March of 1765, Pennsylvania’s Governor Penn gave no such order. At about one o’clock in the afternoon of March 6, 1765, James Smith and ten frontiersmen with blacked faces ordered the pack train to halt near Sideling Hill before firing upon several of the horses after the traders refused Smith’s order. 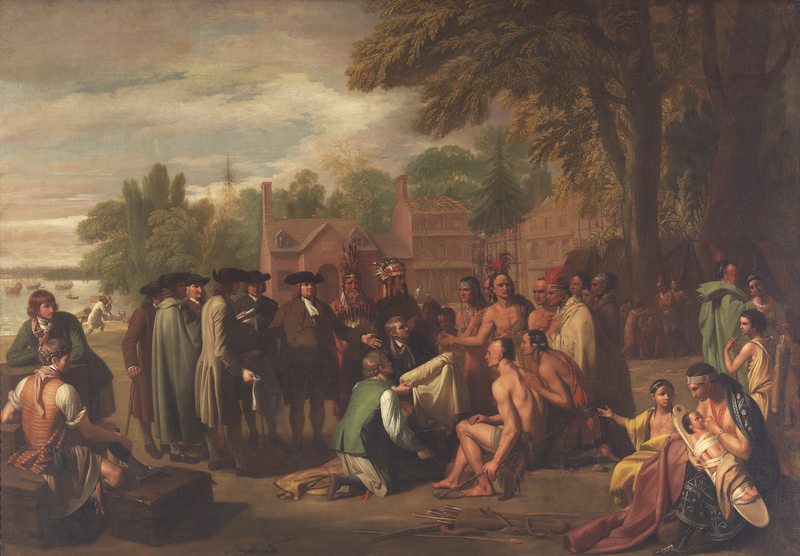 As a former Indian captive, James Smith understood Native ways. Upon his return to Cumberland County in 1760, Smith also understood white ways and served in locally funded militias and in Henry Bouquet’s 1764 offensive. Smith and his men became known as the “Black Boys” and represent another chapter in the complex relationship between frontiersmen and the Pennsylvania government regarding Native Americans. There are similarities between the Black Boys and Paxton Boys, most notably their origins in frontier defense forces. Both groups wanted the Pennsylvania government to better provide for frontier inhabitants, and both pushed for this measure through pistol and pen. The entreaties from each of the frontier associations aimed to capture attention of and demand action from the colony’s governor. Both the Black Boys and the Paxton Boys questioned the Anglo-American relationship with Native Americans. Both groups feared Native attacks on their communities. 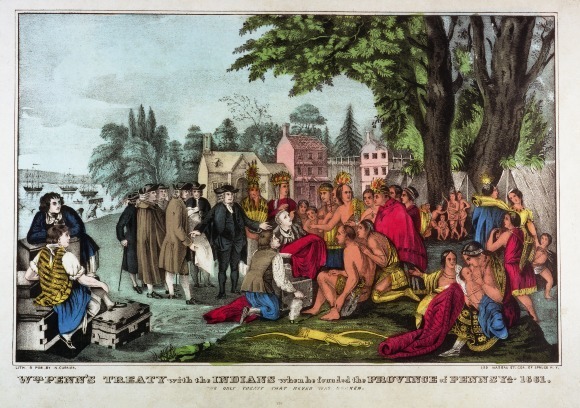 The Paxton’s Declaration and Remonstrance accused the Moravian and Conestoga Indians of aiding enemy Indians, while the Black Boys wanted the government to better police its own subjects to prevent Anglo-Americans from providing goods to enemies. For both groups, their appeals relied upon a shared belief in, and expectation of, government attention to frontier concerns, with the understanding that frontiersmen could take action when government failed to uphold its responsibilities. While the Black Boys echoed the complaints of the Paxton Boys, the groups were not directly related. Importantly, the Black Boys never advocated for the murder of Native Americans. Nor did they seek out and attack peaceful Indians, an important distinction stressed by scholar Greg Dowd (203–204, 211). That is, the Black Boys focused on the actions of white colonists rather than Indians. The Black Boys appealed across colonial borders to a diverse ethnic constituency. The composition of the Black Boys differed from Scots-Irish and Presbyterian affiliations associated with the Paxtons. 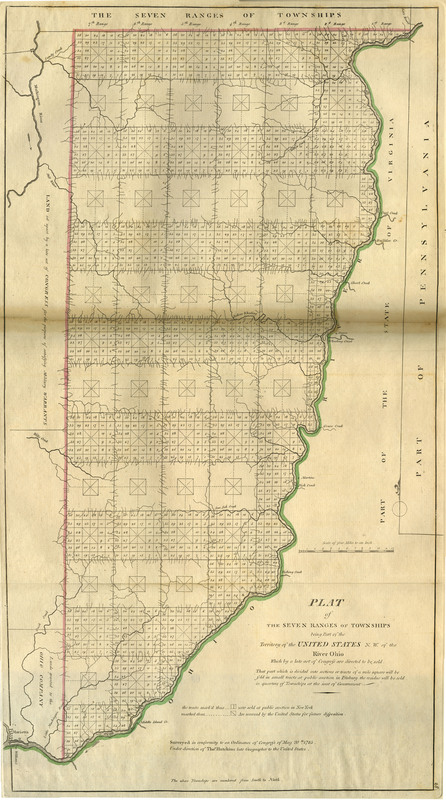 John Armstrong, a Cumberland County Justice of the Peace, wrote “as to the people concern’d from all we can learn they are Irish, English, Dutch and Welch- from Potomack to the Kittatinney Hill, it’s confidently asserted there were some Virginians amongst them, others say not, but that they had made proposals of joining” (Armstrong). 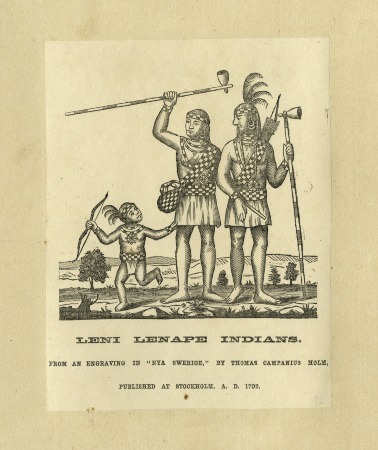 Samuel Llewellyn, a Marylander, later deposed that “there came some Express from Pennsylvania that there was goods going to the Indians & Desired assistance from Maryland to stop the same” (Llewelyn). Llewellyn and others traveled north to assist the Black Boys. William Smith, a Justice of the Peace and a relation of James, confirmed the presence of people from other colonies when he wrote to a Maryland official that “a great Number of Men appeared in Arms, from Pennsylvania, Maryland, & Virginia” at Fort Loudon (Smith to Shelby). After the attack at Sideling Hill, the traders fled to nearby Fort Loudon and the protection of a detachment of soldiers from the 42nd Highland Regiment, nicknamed the Black Watch. In contrast to the inaction of the 200 soldiers stationed in Lancaster in December 1763, Lt. Grant’s assistance to the traders escalated events (Brubaker). Grant, unaware of the cargos’ illegal nature, felt obligated to protect the traders and goods, despite his acknowledgement that the traders refused to obtain a pass from him earlier on their trip. The soldiers he sent out from Fort Loudon, in combination with some traders, seized prisoners and guns from the locals. They even captured one man in front of a Cumberland County magistrate, “without any warrant or authority” from the official (Maxwell). The involvement of British soldiers created a second issue separate from the Black Boys’ original complaint over the cargo. 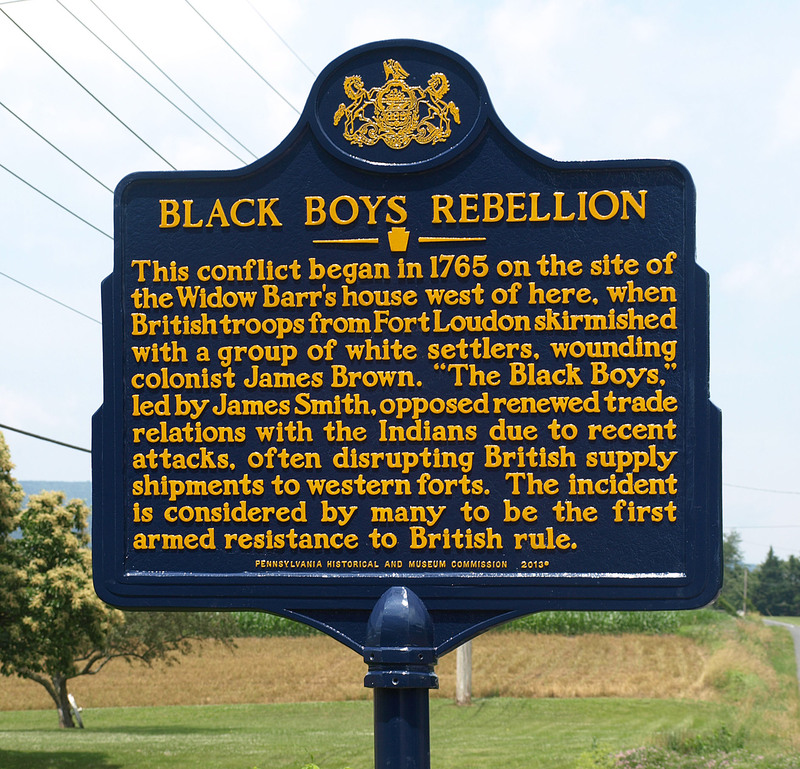 The Black Boys felt that British soldiers violated Pennsylvania’s civil jurisdiction, whereas the soldiers thought the Black Boys did not respect military, and therefore imperial, authority. Colonial Americans generally detested the use of soldiers to interfere in civil affairs and the actions of the soldiers broadened support for the Black Boys along the frontier. By March 9, just three days after the initial attack, James Smith rallied hundreds of riflemen to Fort Loudon to demand the return of the prisoners and guns. British Captain Thomas Barnsley noted of the siege force that “a great many of which had no hand in Destroying the Goods, yet Rose in a body to Rescue the Prisoners” (Barnsley). The soldiers could reasonably argue that they acted to protect imperial authority. So, too, could the Black Boys. 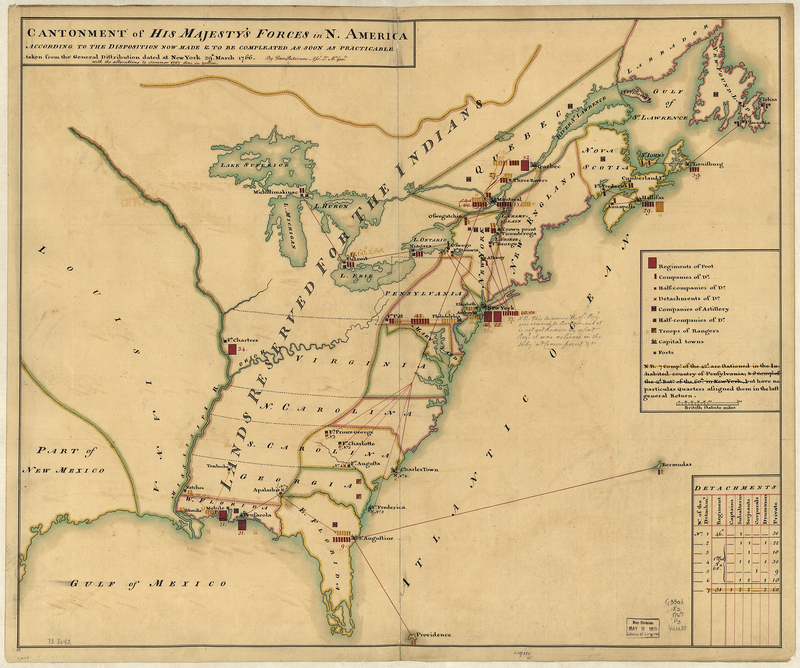 The traders believed their military pass provided a loophole which allowed them to move goods under the king’s authority and without the governor’s reauthorization of the trade. The soldiers respected the military pass and, following the trader’s logic, the Black Boys killed four horses and burned thousands of dollars’ worth of goods destined for imperial use at Fort Pitt. However, the Black Boys could counter that the military pass did not override the King’s Proclamation of 1763, nor did the trader’s pass empower British soldiers to capture civilians. Unfortunately for the soldiers, few believed the goods were intended solely for diplomacy. Baynton, Wharton, and Morgan wanted to be the first firm to market after the governor formally reauthorized the Indian trade. Having a large quantity of goods at Fort Pitt before the trade re-opened ensured this goal and the trading firm informed a Cumberland County magistrate in December 1764 that they would transport goods to Fort Pitt the following spring. General Thomas Gage and Superintendent of Indian Affairs William Johnson both believed the trading company engaged in suspicious, if not illegal activity. Gage wrote that Johnson’s subordinate, George Croghan, acted in league with the traders “contrary to orders, and contrary to the Laws of the Province” (Gage). A few months later on the other side of the Atlantic, Thomas Penn wrote, “the Owners of them deserve the loss they have met with, for acting [so] directly contrary to the King’s Proclamation and the Laws of the Province” (Penn to Penn). When considering the initial issue, the trade goods, it is clear that it was not just the Black Boys who felt the traders erred in their actions. However, the intervention of the soldiers and the escalation of conflict turned Thomas Gage, William Johnson, John Penn, and other potential allies against the Black Boys. 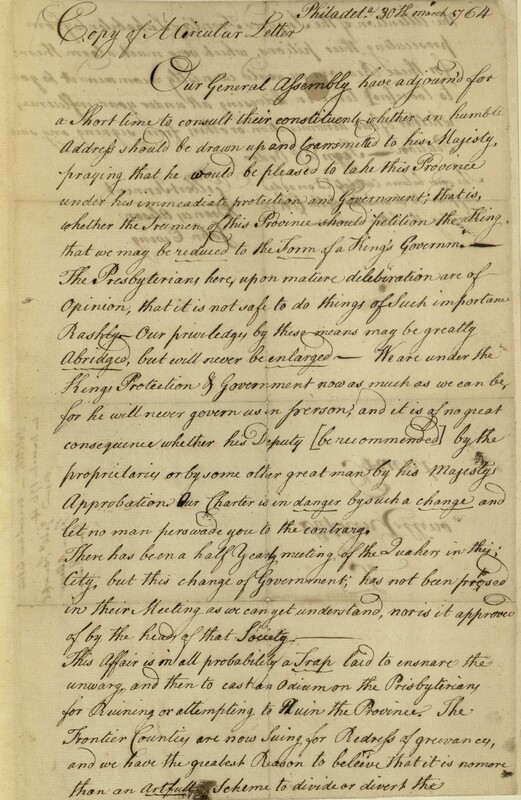 But, importantly, the petitioners demanded that the governor “interpose your Authority to stop these goods from going to the Enemy until peace by finally concluded” and “bring to punishment the persons who contrary to his Majesties royal proclamation…are concerned in this unlawful commerce with our enemies” (Cumberland County Inhabitants). The petition demonstrated an understanding of imperial law, provincial law, and a desire for justice even as it acknowledged the lawless manner in which the Black Boys operated. The petitioners admitted the Black Boys broke the law, but only after the government failed to uphold the law and stop the traders in the first place, resulting in war material traveling west and endangering the Cumberland County community. Perhaps due to comparisons made in Philadelphia between the Black Boys with the Paxton Boys, and perhaps to prevent another march on Philadelphia, Governor Penn, Attorney General William Allen, and two members of the Provincial Council journeyed to Carlisle, the county seat of Cumberland County. Arriving in Carlisle in late March, the governor needed to offer a careful response to the events of Sideling Hill. He did not want to further antagonize the Black Boys, but he also didn’t want to provide more ammunition against his family’s proprietorship. Penn issued warrants “for such as were suspected,” but ultimately “the suspected persons had all absconded before [the sheriff] arrived in the part of the Country where they lived, so that no one was apprehended” (Penn to Gage). Once officials organized their charges and the available witnesses, a grand jury convened to hear the evidence and “tho’ al the Witnesses appeared and were examined by the Jury, it seems they were of Opinion that there was not sufficient Testimony to convict a single Person charged” (Penn to Gage). Despite the lack of convictions, Penn maintained that he did “everything on this occasion that could be done consistent w’th Law” and withdrew to Philadelphia. 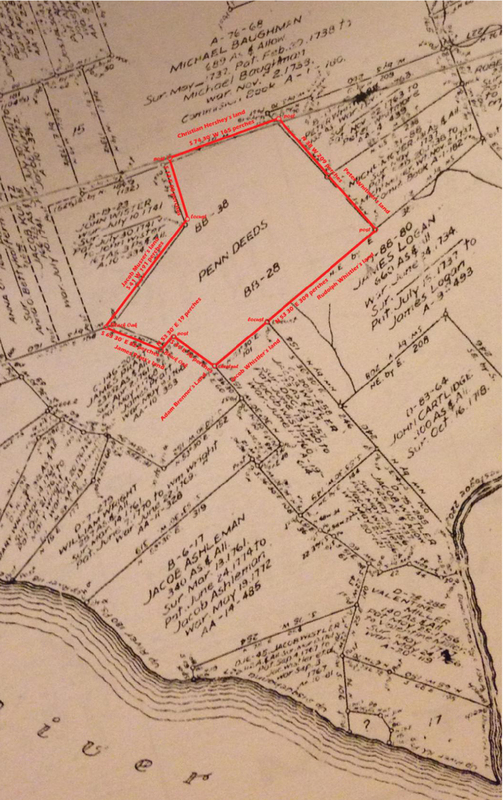 The prosecutorial failure energized the Black Boys to expand their detection network and continue their conflict with the Highlander Regiment at Fort Loudon. Some of the Black Boys even removed their masks, so to speak, issuing signed passes on cargo they personally inspected. (These passes are available in the Pennsylvania Archives, 1st series, vol. 4:219-220.) An advertisement appeared in Cumberland County in May, purportedly from the Black Boys, inviting volunteers to “come to our Tavern and fill your Bellys with Liquor & your Mouth full of Swearing” (Peters Township.) Greg Dowd doubts the advertisement originated from the Black Boys, but some debate exists (210). In any case, in early May Lt. Grant sent Sgt. 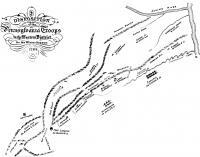 Leonard McGlashan and twelve soldiers to assist traders attempting to get to Ft. Pitt. The Black Boys blocked the pack horses since they did not personally inspect the goods. The resulting firefight left Black Boy James Brown wounded. Magistrate William Smith insisted that Lt. Grant hand over Sgt. McGlashan for trial. Grant refused the offer. A few weeks later, James Smith and four others captured Lt. Grant while he was off riding in the country and left the lieutenant tied to a tree overnight. Upon reflection, Smith thought at about this time “the king’s troops, and our party, had now get entirely out of the channel of the civil law” (Smith, Account, 111). Back in Philadelphia, Governor Penn always doubted the commitment of frontiersmen to the civil authority, and he now laid a trap. Penn announced the formal reopening of the Indian trade and set a date of June 20, 1765 (Penn Proclamation). If the Black Boys truly wanted to follow the laws of the province they would comply with the governor’s orders. The Black Boys complied, ending their inspection network. However, the location of the guns captured in early March remained a separate and unresolved issue. In November, before the soldiers left Fort Loudon for winter quarters, James Smith gathered a few hundred people and besieged the fort. This time, the Black Boys demanded the guns and the delivery of Grant and McGlashan as prisoners. The soldiers did not acquiesce, and the Black Boys kept up a constant fire on the fort for two nights. Eventually, the Black Boys agreed to let the soldiers march away if they returned the guns. Lt. Grant obliged through a third party. After they received the guns, the Black Boys faded as an active group. But their objectives found subsequent supporters. A “new club” of Black Boys appeared in 1769 over the supply of “warlike stores” to Native Americans. Despite the discontinuation of either a formal or informal Black Boys association, many of the people initially drawn to the Black Boys in 1765 continued to live along the frontier and participate in the political issues of the Revolutionary era. The Black Boys shared many grievances with the Paxtons, but the affairs played out rather differently. Both groups influenced the decisions made by the provincial government, local officials, and evaded legal punishment. However, the Paxton Boys committed, glorified, and defended the murder of Indians, while the Black Boys concerned themselves more with preventing bloodshed. In all likelihood, the Black Boys supported war against Natives, but it was not an explicit goal of their ad hoc organization. Many scholars conflate the two groups, but it is important to acknowledge their differing motivations and actions. 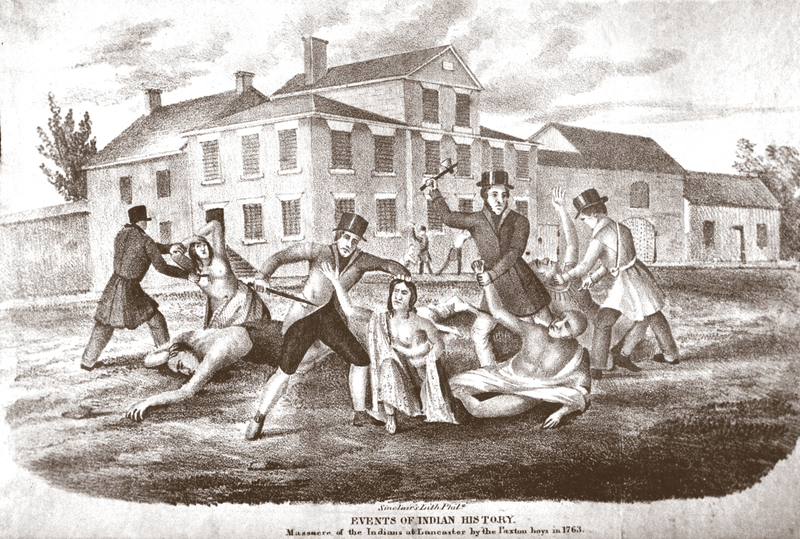 Petitions, legal maneuvering in the court system, and adherence to the governor’s decree reopening the trade demonstrated that the Black Boys wanted to live within the political and legal systems of Pennsylvania and that frontiersmen possessed some control over those systems. The reluctant use of arms to ensure Cumberland’s security indicates the use of a final alternative when government failed in its duty. On the imperial side, the Black Boys’ rift with the 42nd Highland Regiment foreshadowed the American Revolution. The Black Boys resented the haughtiness of the British soldiers and found no imperial avenue of redress in which to appeal the conduct of the soldiers. In addition, the soldiers downplayed the legitimacy of Pennsylvania’s civil infrastructure in favor of imperial interests. In this case, frontiersmen found the behavior of imperial representatives, in the form of the soldiers, flawed. The pattern of interaction between the Black Boys and soldiers presaged a key divide of the American Revolution—the tension between the British government and colonial Americans over their insistence of political and legal sovereignty. Similar to the more celebrated urban, coastal colonists, many inhabitants of frontier communities also valued the protection of American rights that would inspire the revolutionary movement. This essay is based on an article by Jay Donis,“The Black Boys and Blurred Lines: Reshaping Authority on the Pennsylvania Frontier,” Journal of Early American History, vol. 6, no. 1 (2016), 68-93. 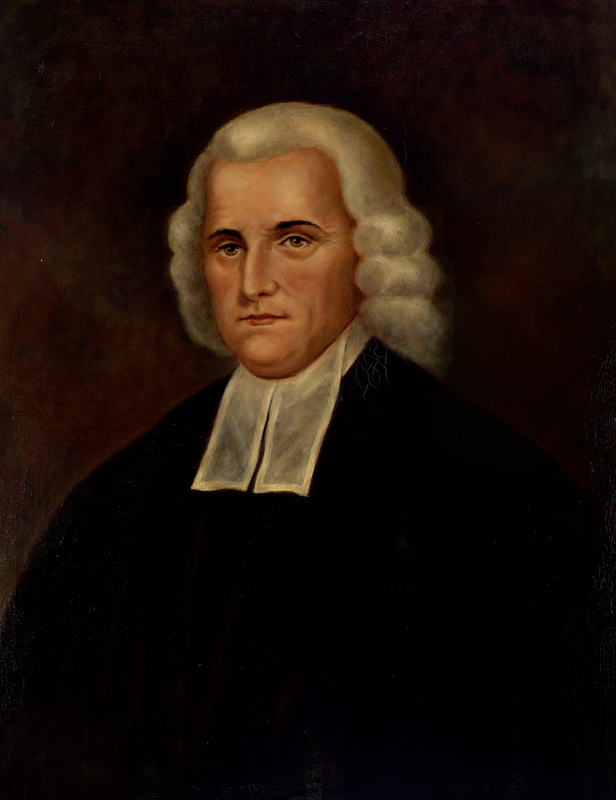 The majority of primary sources are located in the Pennsylvania Archives (Series 1, Volume 4) and the Thomas Gage Papers at William L. Clements Library at the University of Michigan (also available on microfilm at the Pennsylvania Historical and Museum Commission). 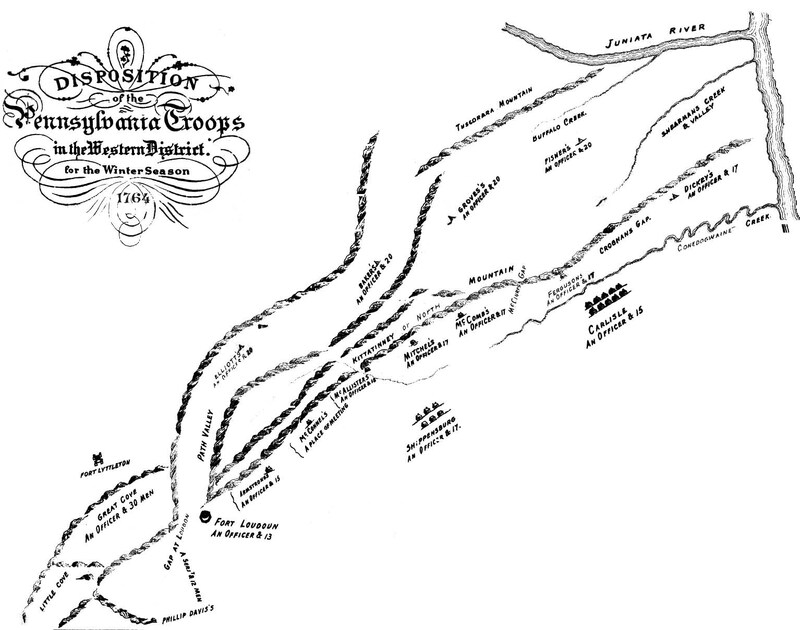 Armstrong, John to George Croghan, 26 March 1765. Cadwalader Family Papers, Box 201, Folder 2, Series 4, Historical Society of Pennsylvania. 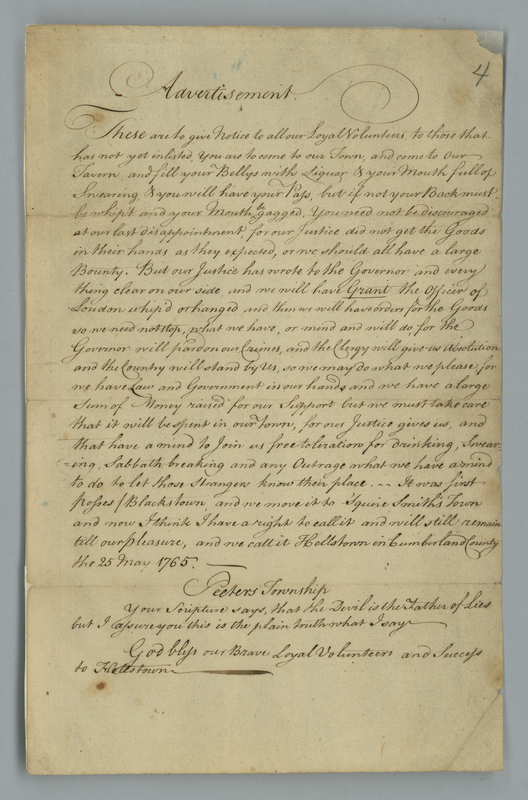 Barnsley, Thomas to General Thomas Gage, 11 March 1765, Thomas Gage Papers, Pennsylvania Historical and Museum Commission, State Archives, Harrisburg, Pennsylvania. Brubaker, Jack. “The Aftermath of the Conestoga Massacre.” Digital Paxton, 2017. Cumberland County Inhabitants. “Petition to Governor Penn.” Col. Henry Bouquet Papers, 6:777-779. Full-text via Smith Rebellion 1765. Cutcliffe, Stephen. “Sideling Hill Affair: The Cumberland County Riots of 1765,” Western Pennsylvania Historical Magazine, 59, no. 1 (Jan. 1976), 39-53. Deposition of Samuel [Llewelyn], Shelby Family Papers, 1738–1862, microfilm, Filson Historical Society, Louisville, Kentucky. Dowd, Gregory Evans. War under Heaven: Pontiac, the Indian Nations, the British Empire. Baltimore: Johns Hopkins University Press, 2002. Gage, Thomas to William Johnson, 15 April 1765. The Papers of Sir William Johnson, 4:717. Full-text via Smith Rebellion 1765. Maxwell, James. Deposition. Thomas Gage Papers, Pennsylvania Historical and Museum Commission, State Archives, Harrisburg, Pennsylvania. Penn, John. 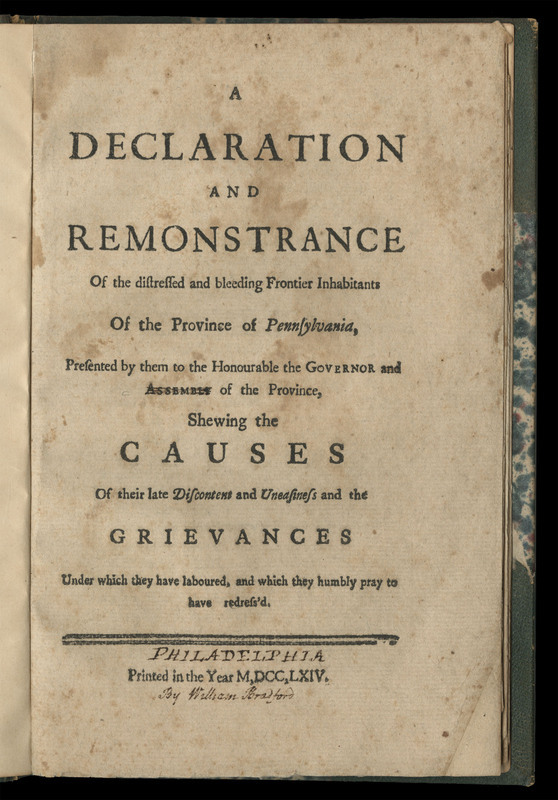 “Penn Proclamation, 4 June 1765.” The Kislak Center for Special Collections, Rare Books and Manuscripts, Mapcase AB7 P3845L2 765b. Penn, John to General Gage, 28 June 1765. Thomas Gage Papers, Pennsylvania Historical and Museum Commission, State Archives, Harrisburg, Pennsylvania. Penn, Thomas to Benjamin Chew, 20 July 1765. 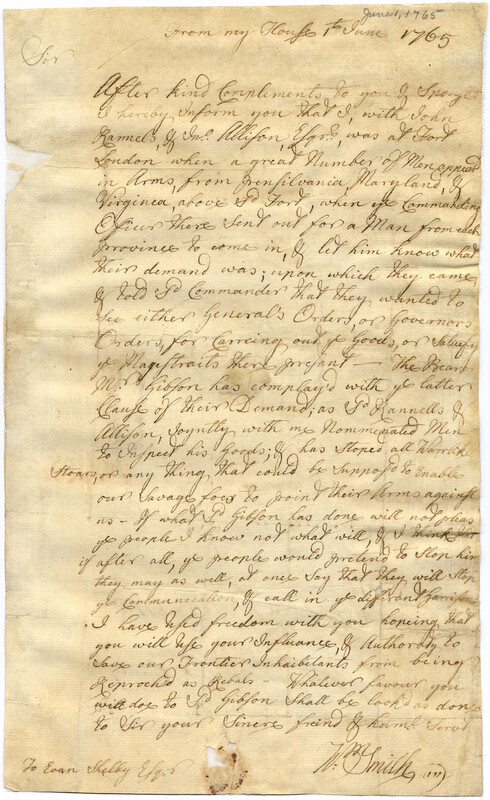 Penn Family Papers, Penn Correspondence VIII, 1763-1768, NV 218, Historical Society of Pennsylvania. 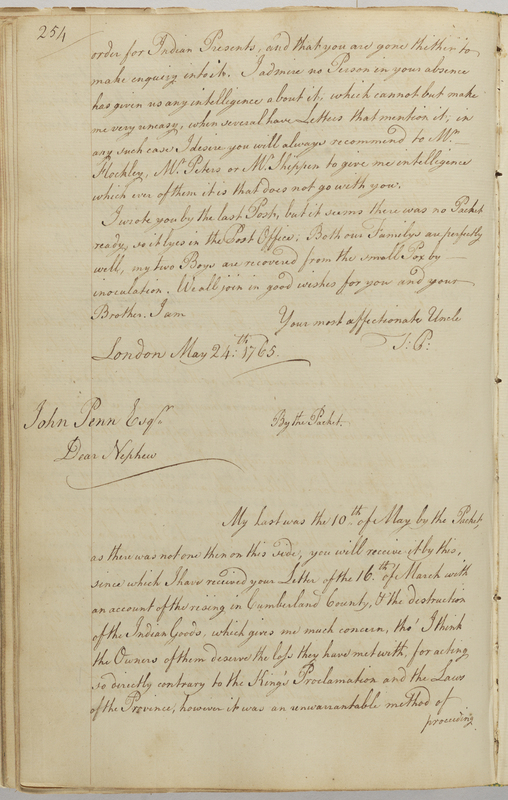 Penn, Thomas to John Penn, June 8, 1765. Penn Family Papers, Penn Correspondence VIII, 1763-1768, NV 218, Historical Society of Pennsylvania. Peters Township. “Advertisement for Loyal Volunteers.” University of Pittsburgh, University Library System. Darlington Autograph Files, Box 5, Folder 86. Spero, Patrick. 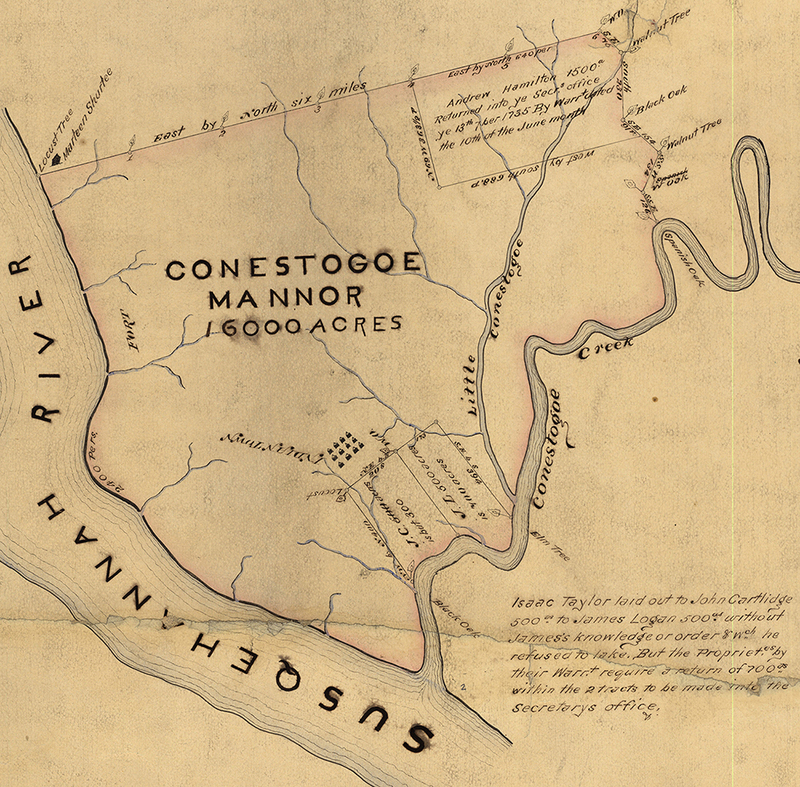 Frontier Country: The Politics of War in early Pennsylvania. Philadelphia: University of Pennsylvania Press, 2016. Spero, Patrick. Frontier Rebels: The Fight for Independence in the American West, 1765-1776(New York: W.W. Norton & Company, 2018). Smith, James. 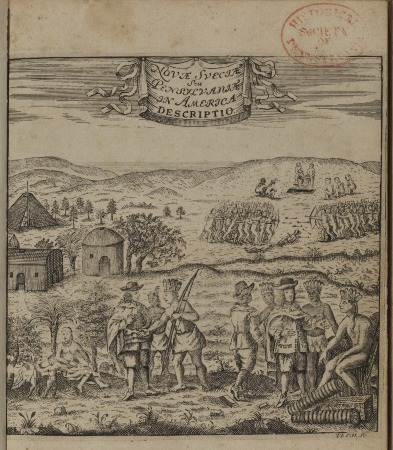 An Account of the Remarkable Occurrences in the Life and Travels of Col. James Smith During his Captivity with the Indians, in the years 1755, ’56, ’57, ’58, and ’59. Appendix by Wm. M. Darlington. Cincinnati: The Robert Clarke Co., 1907. Smith, William to Evan Shelby, 1 June 1765. Reuben T. Durrett Collection, Special Collections Research Center, University of Chicago Library. Webster, Eleanor M. “Insurrection at Fort Loudon in 1765: Rebellion or Preservation of Peace?,” Western Pennsylvania Historical Magazine, 47, no. 2 (Apr. 1964), 125-139.